New Delhi: Congress president Rahul Gandhi Tuesday sought to fire a fresh Rafale salvo at the Narendra Modi government, citing an internal email of France-based Airbus Helicopters to claim that Reliance Defence chief Anil Ambani had prior knowledge of New Delhi’s deal with Paris for 36 fighter jets. According to the email, which Gandhi presented at his press conference, Ambani visited France in the last week of March 2015 for a meeting with then French defence minister Jean-Yves Le Drian’s top advisers, including industry adviser Christophe Salomon. At the meeting, according to the email, Ambani purportedly “mentioned an MoU in preparation and the intention to sign during the PM visit”. The Congress linked this MoU to PM Modi’s state visit to France in April 2015, where he announced India’s decision to purchase 36 Rafale jets in flyaway condition as part of a government-to-government deal with France. Ambani was part of Modi’s official delegation during the trip. “Only Modi could have told Ambani about the deal in advance,” alleged Gandhi at a press conference Tuesday. Reliance Defence was quick to dismiss the allegations, saying the “purported email being referred to by the Congress is regarding the discussion between Airbus and Reliance Defence, pertinent to Civil & Defence Helicopter Programs under the ‘Make in India’ programme”. Notably, the Rafale MoU was not signed in 2015. It was formalised in January 2016, with the deal finally inked in September 2016, a fact also pointed out in the Reliance Defence statement. An Airbus spokesperson told ThePrint that Airbus can confirm that discussions were taking place between Airbus Helicopters and Reliance in 2015 within the frame of the newly-launched ‘Make in India’ policy. “However, Airbus Helicopters later decided to team with Mahindra through an MoU which was signed in July 2015. This partnership still stands. Airbus has had no involvement in the agreement between France and India for the procurement of Rafale fighter aircraft,” the spokesperson said. Queries mailed to the French government for comment remained unanswered. The report will be updated once they respond. In 2015, Ambani entered the defence sector with Reliance Defence, which was incorporated on 28 March that year. He subsequently travelled across the world pursuing MoUs with various companies, and was also eyeing a collaboration with Airbus Helicopters, which is among the companies in play for the Indian Navy’s bid to acquire 111 light Naval Utility Helicopters and 123 naval multi-role helicopters. The email in question was written on 28 March 2015 by a top Airbus Helicopters executive. According to the email, Ambani visited the office of the then French defence minister in Paris “this week” and met his top advisers. The email purportedly followed a telephonic conversation between the top Airbus executive and industry adviser Salomon, and centred on finding a way for Ambani and the French company to work together. At his meeting with the advisers, described in the email as “confidential and planned as you can imagine with very short notice”, Ambani is believed to have said he “intends to work with Airbus Helicopter on commercial helos (helicopters) and then on defence”. The email states that Ambani was told the company was checking “the right way forward” and “there are other potential partners”. Airbus Helicopters eventually struck the agreement with Mahindra Defence last year. The Congress attack was meant to bolster its allegation that the Modi government facilitated the selection of Reliance Defence as Dassault’s offsets partner for the €7.9 billion Rafale deal. 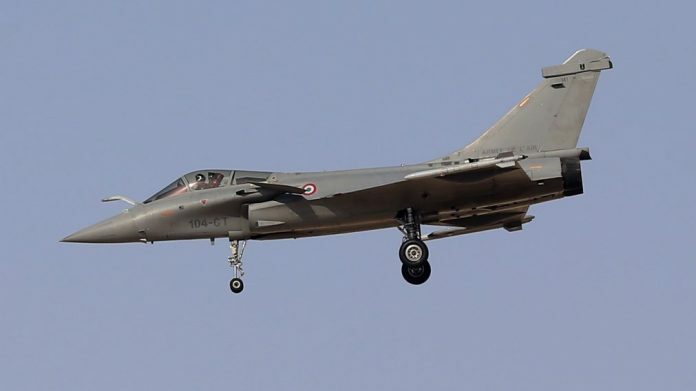 In September last year, former French president Francois Hollande, on whose watch the Rafale deal was finalised and signed, reportedly alleged that it was the Indian government that had proposed Reliance Defence as the offsets partner. While the French government and Rafale manufacturer Dassault have both denied the allegation, it fuelled the opposition’s attack on the Narendra Modi government. Among other things, the Congress has accused the Modi government of coming to the aid of its “crony capitalist friends” at the cost of defence public sector entity Hindustan Aeronautics Limited (HAL), which was initially chosen as a licensed manufacturing partner in the deal. The Bharatiya Janata Party (BJP) lashed out at Gandhi Tuesday, accusing him of working as a “lobbyist” for foreign firms. Dubbing Gandhi a “lying machine”, Union Minister Ravi Shankar Prasad also slammed Airbus, and sought to link the leaked email with an investigation against the company for deals finalised under the Congress-led UPA government. The firm, Prasad said, was also linked to a corporate lobbyist recently extradited from the UAE. “Let Rahul Gandhi explain where did he get an internal email of Airbus. Who is supplying him?” Prasad added. “There cannot be a bigger thing than this that he is working as a lobbyist for foreign firms,” he said. This report has been updated with response from Airbus.